Active listening is an interpersonal skill that every top professional needs. No matter if you are a business professional, sales person, executive coach or business consultant, active listening is an essential part of utilizing your knowledge of human behavior. It allows us to take both verbal and non-verbal cues from clients and begin to understand their every need. Remember, DISC is all about observable behavior so here’s where active listening and observing will give you a competitive edge. Understanding DISC personality styles and acting in sync with their natural drive will let your clients continue to feel important, and you will continue to earn their loyalty through improved service and genuine commitment to the long-term success of each brand. In teams, we can better solve problems, decide a course for corrective action, improve employee retention, and gain insight from every facet of operations. We improve our customer experience and optimize employee relations. If we are involved in a technical field, we can translate business needs into technical specification. Likewise, we can lead and direct business teams, based on the areas in which they operate. In the same token, understanding DISC can help us become better listeners and improve communication as a whole. DISC is a theory that separates our personality traits into the four main types of human behavior, including those of Dominance, Influence, Steadiness, and Conscientiousness. For example, have you ever heard of “leading from within?” With DISC, we can most certainly lead from within and drive more impact through operations. Leading from within will allow us to minimize stigmas within the workplace, as we influence others on a more personal basis. Leadership is directly tied to your behavioral style and if you need additional insights on developing your leadership skills, try out the DISC Leadership Report. 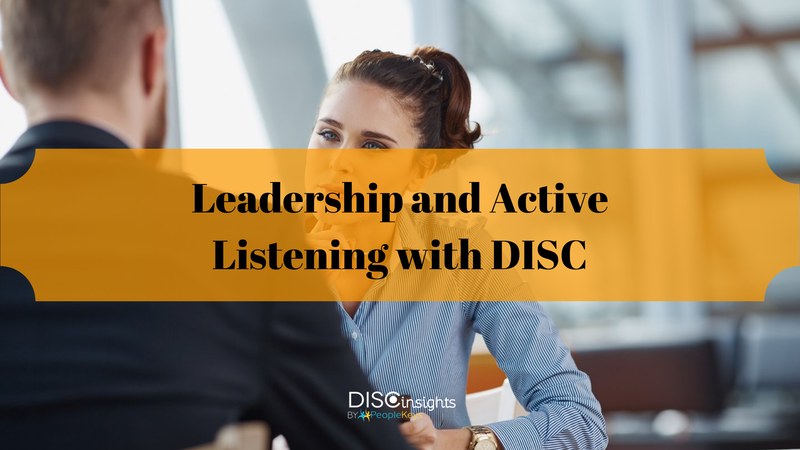 Adopting DISC understanding into our interpersonal skills will help us better understand others, advocate on behalf of our teams, and become more approachable – no matter where we fall within the business hierarchy. Evaluating the DISC traits of others will allow us to find more common ground, understand what makes others tick, and where they fall short. As we find out what motivates each of our team members, we can then encourage them to perform at their best and feel appreciated as a whole. Minimizing ego and encouraging communication will allow our teams to collaborate with more enthusiasm, improve the outcome of daily operations, and increase our productivity, overall. In conclusion, through DISC implementation, we will be able to plan, delegate, and execute with increased efficiency, empowering our teams and strengthening them at their core. By becoming more empathetic and adjusting our own styles to appeal to those of our workforce, we will find that increased trust, confidence, and the feeling of being valued will spark even the dampest of flames in an individual. We develop individual leaders and forge interdisciplinary alliances. We motivate the workforce and inspire them for a unified vision for the future. Learn more about DISC and leadership development here.